WINSTON — Douglas Interagency Narcotics Team arrested a Winston man on numerous charges, including heroin possession. A DINT press release revealed that, Rickey Whitehurst, 29, of Winston, was arrested Tuesday. Whitehurst had been wanted for over a year, with outstanding warrants for his arrest for failure to appear on the crimes of felon in possession of a firearm, attempting to elude an officer, reckless driving, and interfering with a police officer. In addition to being a wanted individual, DINT had credible information Whitehurst had been distributing large amounts of drugs from his Winston area home. 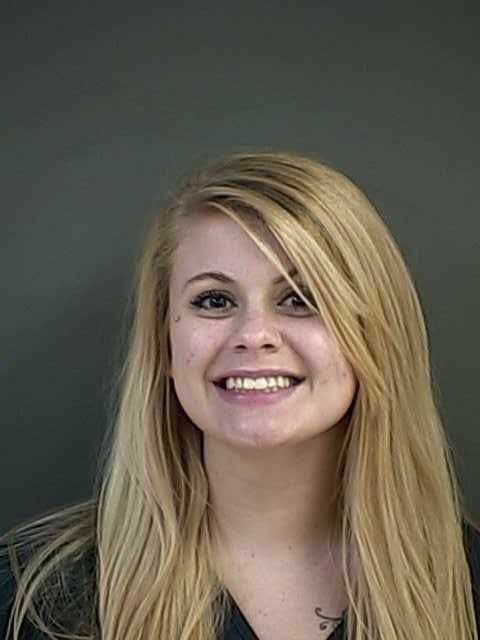 A two month investigation culminated Tuesday evening when DINT arrested Whitehurst in his vehicle in the 200 block of NW Civil Bend Avenue in Winston, at approximately 7 p.m. Another occupant of the vehicle, Tessa Smithey, 20, of Sutherlin, was also arrested. Both were found to be in possession of small amounts of heroin. DINT immediately followed up the arrests with a search of Whitehurst's residence a short distance away, also in the 200 block of NW Civil Bend Avenue. During the search DINT seized almost half a pound of brown powder heroin commonly known as "Gunpowder", a small amount of white powder heroin commonly known as "China White", approximately 1 ounce of methamphetamine, a small amount of cocaine, a loaded 9mm semi-automatic handgun, a large amount of cash and a substantial amount of other narcotics related evidence. Whitehurst's residence is in close proximity to McGovern Elementary School. There are special statutes related to certain controlled substance crimes that occur within 1,000 feet of a school. Whitehurst was transported to the Douglas County Jail where he was lodged on the outstanding warrants for his arrest, as well as new charges, including felon in possession of a firearm, felon in possession of a restricted weapon, unlawful possession of methamphetamine, unlawful delivery of methamphetamine, unlawful delivery of methamphetamine within 1,000 feet of a school, unlawful possession of heroin, unlawful delivery of heroin, unlawful delivery of heroin within 1,000 feet of a school, and unlawful possession of cocaine. Tessa Smithey was lodged at the Douglas County Jail and charged with unlawful possession of heroin and parole violation. DINT was assisted in this case by the Winston Police Department, the Douglas County Sheriff's Office and the Roseburg Police Department with their drug detection K-9 Trapper. COOS COUNTY — A woman was arrested over the weekend after stealing another woman’s purse and biting her hand.